“It’s my sister’s wedding; I’m much fatty with weight more than 145 lbs, I want to look great in marriage ceremony, please God help me.” This statement is made by every young girl who dreams out to look slim and awesome. Today, I’ll tell you all fatty girls a workout plan to lose weight in a healthy way. By using this plan, you can easily reduce 13-15 lbs per week. Losing weight too fast can be harmful, therefore needs to get rid of this rubbish fat gradually. Lots of things are available in the market to remove extra flab such as diet pills, diet syrups, fad diet etc. if you are fasting to shed pounds, it can cause severe health complications, so need to lose weight in a healthy way. Some things, you must avoid while following this plan such as junk foods, cheese, butter, fizzy drinks and sweets. 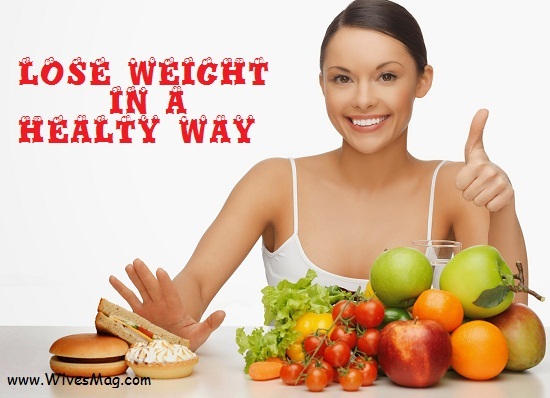 Have healthy foods like white meat, fresh fruits and vegetables, juices, low-fat milk, curd and soups. Here, I picked a workout plan for you to lose weight in a healthy way. Boil water containing 3 cloves, 1 middle size stick cinnamon and a small piece of ginger. Drink it by adding lemon juice and honey. You can have a medium cup of vegetables salad without potatoes for lunch and a medium cup of sprouts for dinner. Also take 3 cups of unsweetened green tea in a day. Juices are not allowed in day one. Do exercise for 12-15 minutes. Exercise includes, lat pulls, squats, jogging, reps and abs plank. In order to lose weight in a healthy way, start your day 2 with strawberry chiller; the recipe is here, (you can use any other unsweetened fruit in place of strawberry). Put in blender little unsweetened strawberry, 12 oze diet ginger ale, ¼ cup fresh lime juice and blend until smooth. As a breakfast, you can have oats meal with low-fat milk, vegetable salad for lunch and chicken corn soup for dinner. 8 glass of special, little warm water and green tea thrice a day. Add in a bowl, Salad leaves, 3-4 chopped green onion top, 1 Cabbage chopped, broccoli, 1 chopped beet, 2-3 sliced carrots, 2-3 thin sliced cucumbers, 2-3 sliced tomatoes, 1/2 cup peas, 1/2 cup boiled corn, little salt, black pepper and lemon juice. Mix well, salad is ready. You need to do cycling, stairs climbing for 10, 10 minutes and jogging for 15-20 minutes. In a bowl, put 2 chopped apples, 1 cup green grapes, 1 cup cubed cantaloupe, ½ cup orange, ¼ grapefruit, ½ cup sliced strawberry, 1 sliced banana, 1 cup curd and 2 tsp lemon juice. You can have 1 medium cup of wheat rice with vegetables for lunch and steaks or fish for dinner. 8 glass of special, little warm water and green tea thrice a day. For exercise in 3rd day, do skipping for 15 minutes. There’s also need brisk walk for 15 minutes. In a pan, put 450 ml fish stock and 500 gm pasta sauce. Boil it and after 2-3 minutes add 2 finely sliced courgettes and 1 bulb finely sliced fennel. After 3-4 minutes add 450 gm Hoki (fish) fillet cut into four pieces and poach over heat until fish is cooked. Add basil and adjust seasoning as you like. Have it with 1 tsp chili paste. Consume 8 glass of special, little warm water in whole day. Exercise must be 30-45 minutes including, lower back bridging, basic abs curl-ups, triceps extension overhead dumbbells and jogging. In a blender add 120 ml low-fat milk, 3 tbsp of oat meal, 120 ml of soy milk and 1tsp brown sugar. Blend it until smooth and drink immediately. In order to lose weight in a healthy way, consume 8 glass of special, little warm water and green tea thrice a day. Do exercise for 45-50 minutes including, cycling, skipping and jogging. Start your day with green tea. In breakfast, have big boiled potato and any dairy product you like. For lunch, have fruit salad and tomato soup for dinner. Consume 8 glass of special, little warm water and green tea thrice a day. Do exercise for 50-55 minutes including, brisk walk, cycling and stairs climbing. Start your day with fresh fruit juice like grapefruit juice or orange juice for breakfast. Oat meal, vegetable salad with curd for lunch and any good diet soup for dinner. Do swimming or play any sports you like for about 1 hour. If you follow this diet plan for a month, there’s surety you can lose weight in a healthy way, about 50-60 lbs in a month.